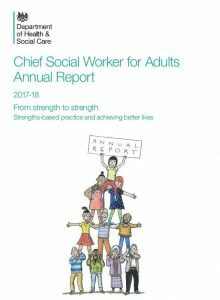 I am very pleased to publish my fourth annual report today to coincide with World Social Work Day. 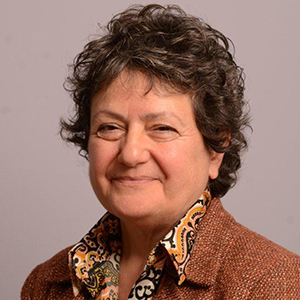 Across the globe, social workers and others involved in health and social care are joining in celebrations to recognise the contribution that social work practice makes in improving people’s lives and the communities in which we all live. Social work is a human rights based profession with the overriding aim of improving social justice and citizenship for those we are here to serve and work alongside. It uses relationships as the starting point. Through conversation and observation we identify where people are in their lives and discover what matters most to them. In this way, we focus on their strengths, gifts and aspirations and help them to live the lives they want for themselves, their families and communities. This relationship working extends to collaboration with other agencies. Social work’s underpinning values, knowledge and skills are shaping the practice culture for adult social care organisations because our approach is always person-centred. Furthermore, our methodology is influencing how health, community and voluntary services operate within and across sectors. The Care Act 2014 refocused adult social care on wellbeing – promoting, improving and protecting the wellbeing of individuals, their carers, families and the wider community. It has also given the social work profession the opportunity to focus much more on effective practice. In this way, we’re making sure we have capable, confident social care professionals who think critically and use solution and strengths based approaches in the pursuit of best outcomes. This means promoting independence and connecting people with families and communities in the least restrictive and most inclusive way possible. Care and support arrangements are worked out with and led by people themselves – there is no better way. Likewise, there is no better way to support social workers than through the highest standards of support and supervision. This includes, but is not exclusive to, manageable workloads, opportunities for skilled direct work with people and enhancement of knowledge and skills through continuing professional development. Reflective practice with colleagues and people who use services is another important aspect of our growth as social workers. I also want to see more investment in research and proper recognition of the evidence supporting social work’s effectiveness. This will help us to improve practice and its impact on many more lives. Meanwhile, I am impressed by the adaptability and responsiveness of those of you who are out there day in a day out making a positive difference to people. On which point, would you – or someone you know – make a good social worker? This short video features five experiences where social workers have made a real difference to individuals, their partners, carers, families and friends. Told from the perspective of the people they have helped, the words are heartfelt, humbling and inspiring. If you are considering a social work career – or know someone who is – this video encapsulates everything that is positive about our profession and I am proud to share it with you today. So thank you to all of you who work tirelessly to support strong and resilient individuals, families and communities, be it working directly with people, or as educators, researchers or practice leaders. Happy World Social Work Day! Support plans and personal budgets should needs led and person centred but most of the time it's a joke. The only thing in the discussion room is the cost of this pb/sp!! How much could we cut it down to? Why do some service users (i prefer clients) get 75 hours a week and others 28 or less and its the single parent with chronic illnesses and no outside support that gets their budget cut!! It's nice for some getting outings to pop concerts and nobody would just get me out once a week to church or a cafe for a coffee to help my social exclusion and isolation. Oh no that can't be included. Discrimination?!! I am an Outreach Support Worker for adults with special needs/Learning disabilities who either live independently or still live with parents. My job is to connect with how I can help/arrange fun/health activities such as swimming, cinema, therapeutic, shopping needs, assistance healthcare/wellbeing/appointments/day to day living care ect. I really love my job ! I work with such vulnerable lovely people live more independently and this alone is incredibly rewarding as you may imagine. The only down side is I use my own car which is required but most of my hours are in other towns and my company pay only 20pence per mile after the first 3000 Miles used up ! This means for roughly 9/10 months of the year I’m on the low pay rate due to not having enough local clients, not cost effective or great for the environment !? Please can you offer some advice as I know I am wasted travelling so far away when I could be helping a lot more vulnerable people locally ! Thanks for your comment Jacinta - over to our blog readers - any advice, suggestions or reflections to add?